Miami, FL – The Miami Marlins leadership announced the addition of three executives to the organization’s team, with more than 50 combined years of experience in sales, marketing and customer service. 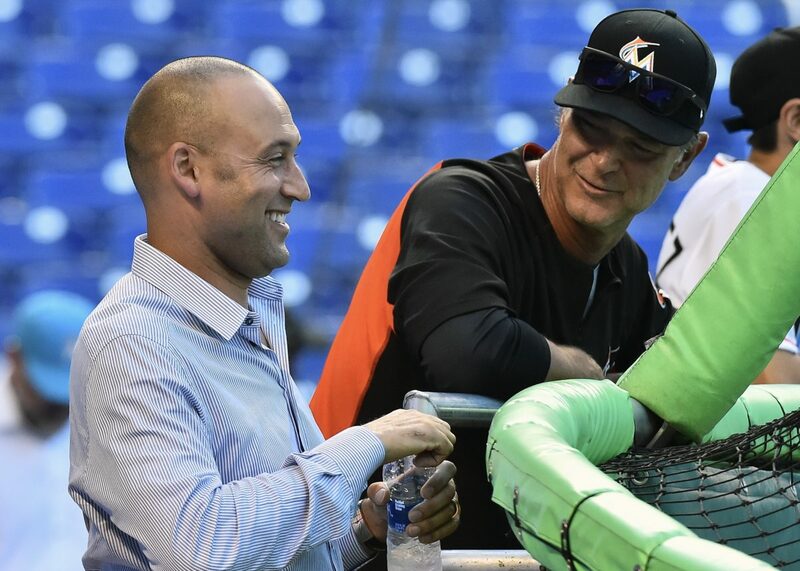 “As we continue to build this organization, the addition of these innovative and accomplished individuals is an important step in the process of delivering a first-class experience our fans deserve,” said Marlins CEO Derek Jeter. Elisa Padilla is joining the Marlins as Senior Vice President of Marketing and Community Relations. She owns nearly 25 years of marketing experience with world-renowned sports and entertainment brands such as Apple, AT&T, HBO Sports, Nickelodeon and People en Español. She most recently served as the Vice President of Marketing for the Howard Hughes Corporation. Ms. Padilla’s near 16-year career in professional sports has featured stints with the NBA, the New York Knicks and the Brooklyn Nets. During her seven years with the Nets, she rose to Chief Marketing Officer, where she oversaw the marketing efforts for the team and arena, including branding, advertising, merchandising, database research, creative, websites, and social media. Ms. Padilla played a key leadership role in the creation and implementation of the award-winning branding campaign, Hello Brooklyn, the cornerstone of the team’s rebranding from New Jersey to the New York City borough. She was also involved in establishing the brand identity for Barclays Center. Ms. Padilla also served as an adjunct faculty member in Sports Marketing at NYU, for five years. She is a member of Women in Sports and Events (WISE), having also served on the organization’s National Board. Travis Apple has been named the Marlins’ Vice President of Ticket Sales and Service. Mr. Apple spent the last two years as Senior Director at NBA Team Marketing and Business Operations, cultivating innovative best practices and implementing proven tactics at the highest level in sponsorship, premium services and ticket sales. He has previously spent time with the Phoenix Suns (Vice President of Ticket Sales and Service) and the Orlando Magic (Sr. Director of Ticket Sales). Mr. Apple also owns experience in Major League Baseball, having served as the Director of New Business Development for the Pittsburgh Pirates where he oversaw the Pirates premium seating, new business development, and inside sales staff. He has also worked with the Atlanta Hawks and Atlanta Thrashers where he was a leading sales executive in inside sales, new season ticket sales and premium seating. Mr. Apple is a native of Delphos, Ohio, and attended Ashland University. Michael Shaw, the new Marlins Vice President – Head of Customer Engagement, brings an array of experience in fan engagement across his 15-year career. Mr. Shaw most recently served as the Principle, Business Development for Sports at Amazon Tickets, where he assisted in the development of the division’s ticket business strategy. Prior to that, he spent three-plus years over two stints at Groupon where he was Head of Sports Partnerships and Sports Business Development, focusing on ticket sales, creating experiential opportunities, and introducing teams and venues to a new marketplace of fans. A native of Tamarac, Fla., and graduate of Middle Tennessee State University, Mr. Shaw also has four years of experience at ESPN in programming and acquisitions.